A times one will just feel to act like a free hotspot provider by allowing friends or family to surf the net through his/her data bundle..
with it you can share your data with family or friends on the same network with you. 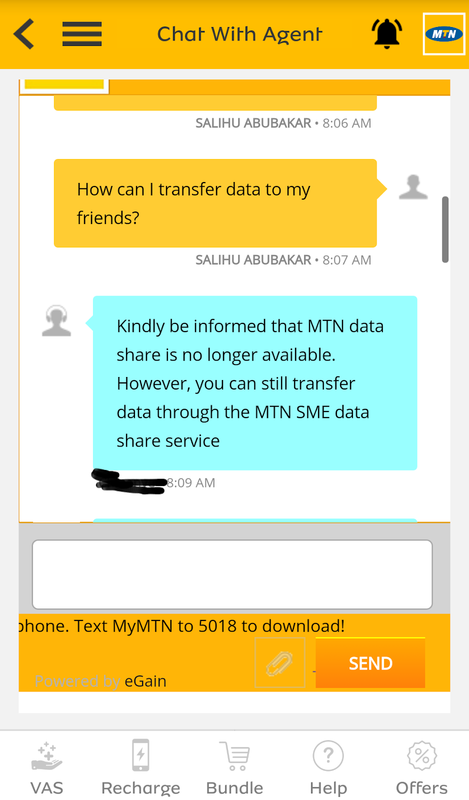 According to a recent chat we had with a MTN Customer Care Agent on January 2019 via the MTN Web Chat Channel, It was made clear to us that MTN Data share is no longer available. 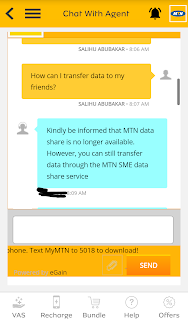 Meanwhile data can still be transferred via the MTN SME data service. 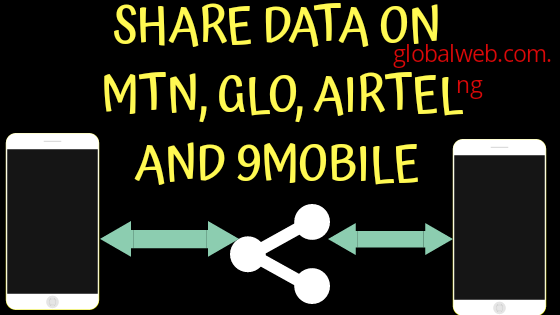 MTN SME Data Share is a prepaid service that allows business owners to buy data bundles and share with their staff. The Airtel data transfer service is known as Me2U which allows you to transfer data from your purchased allowance to your family and friends. Note: you have to change the default pin of 1234 to be able to share data. Maximum data to be shared is 200MB per day. Note: maximum of 200MB can be transferred at a time. maximum of 1000 MB can be transferred in a day. Default pin is 0000.
dial *127*01*[friend’s number]# or Send “Share [friend’s number]” to 127. Technically the amount of data to be shared is not specified, this makes the data as a bulk volume for the beneficiary. A maximum of five (5) Glo users can be added to a Data sharing. 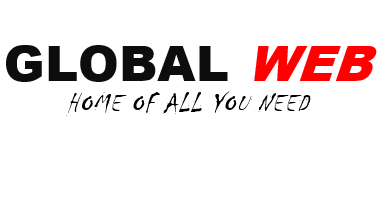 You can use the comment box to speak to us.